Sweet, affectionate, gentle and loving at home, but also a brave and intense warrior in the hunt. 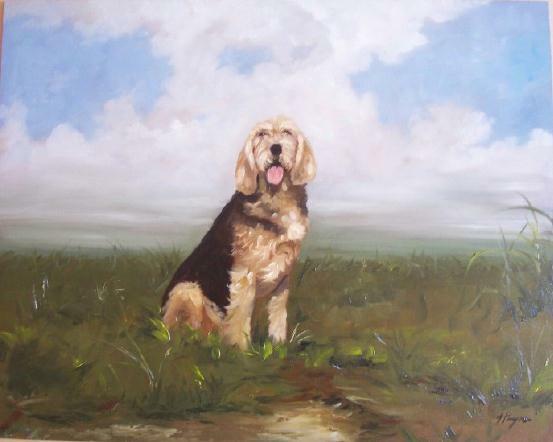 The American Foxhound is exceptionally well in hunting, tracking and agility, and makes a good watch dog. 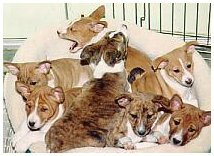 The Basenji is Intelligent, independent, affectionate and alert breed. Can be aloof with strangers. Mild, never sharp or timid. 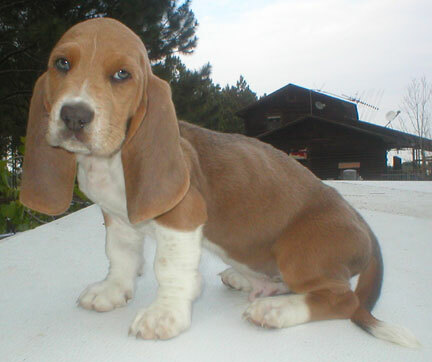 The Basset Hound is capable of great endurance in the field and extreme in its devotion. 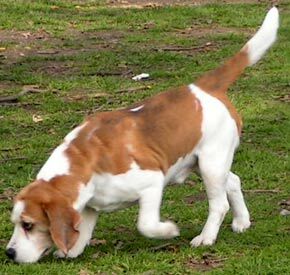 The Beagle is amiable and alert, showing no aggression or timidity. Even temperament, outgoing and friendly. 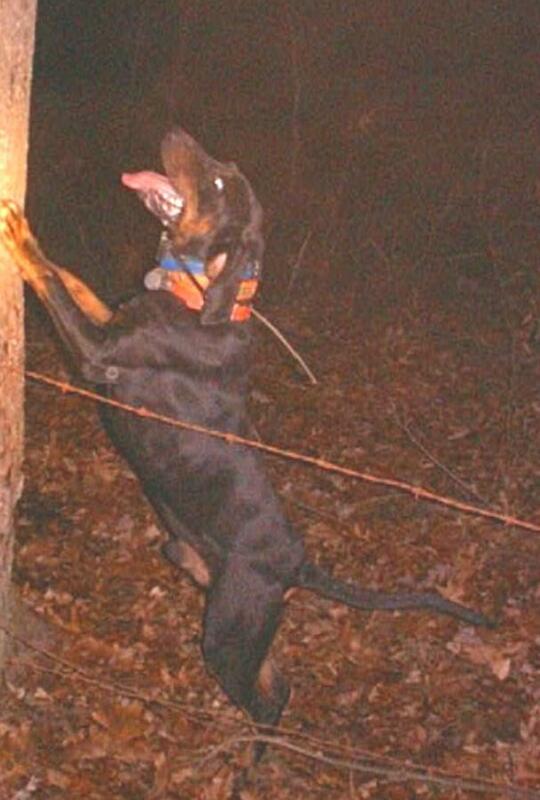 The Black and Tan Coonhound may be reserved but never shy or vicious. 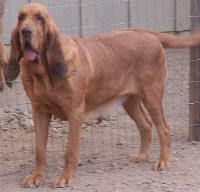 The Bloodhound's nature is somewhat shy, and equally sensitive to kindness or correction by his master. Extremely affectionate, neither quarrelsome with companions nor with other dogs. Unmistakable elegance, with flowing lines, graceful in motion or repose. 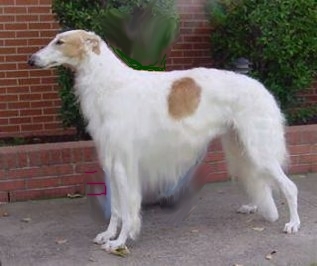 This is the Borzoi. 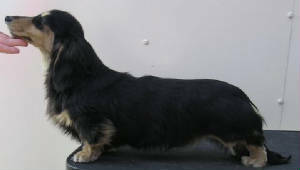 The Dachshund is clever, lively and courageous to the point of rashness, persevering in above and below ground work, with all the senses well-developed. Very active, bold and passionate hunter. Responsive and obedient to his master. 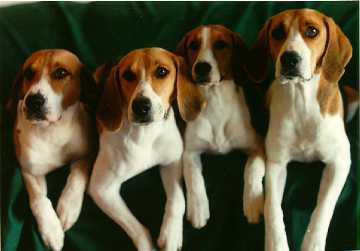 The English foxhound is friendly with people and excellent with children. Quizzical, sometimes shy, very sensitive and surprisingly gentle. 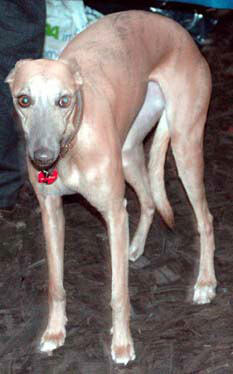 Greyhounds possess superior intelligence, and can exhibit a quiet but surprising independence. Outgoing and friendly, as a working pack breed, Harriers must be able to work in close contact with other hounds. Extremely versatile and trainable, making an excellent family pet. Even-tempered, affectionate and loyal. 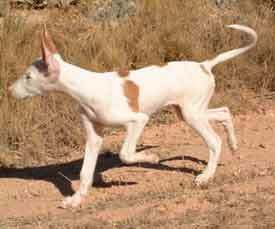 The Ibizan Hound exhibits a keen, natural hunting instinct with much determination and stamina in the field. 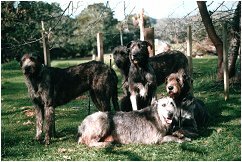 The Irish Wolfhound is the largest and tallest of the galloping hounds. Remarkable in combining power and swiftness with keen sight. The Norwegian Elkhound is bold and energetic, an effective guardian yet normally friendly, with great dignity and independence of character. Boisterous, amiable and even-tempered. Expect this from the Otterhound. 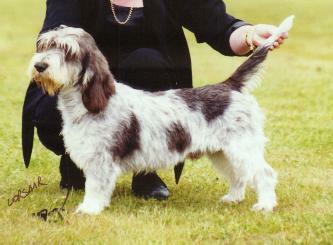 The Petit Basset Griffon Vendeen is happy, confident, , extroverted and independent yet willing to please, never timid nor aggressive. Intelligent, friendly, playful and affectionate. Active and alert. 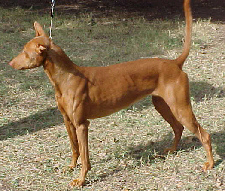 The Pharaoh Hound is fast with a marked keenness for hunting, both by scent and sight. 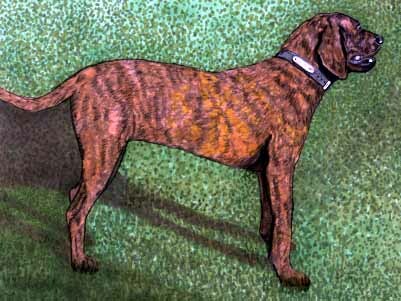 The Plott Hound is a legendary hunting dog known as a courageous fighter and tenacious tracker. 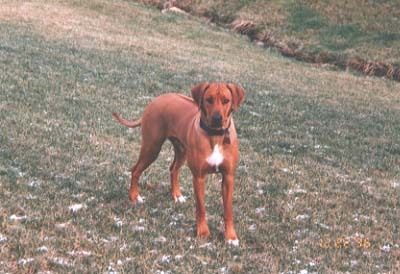 Dignified, intelligent, the Rhodesian Ridgeback is aloof with strangers but showing no aggression or shyness. Impression of grace and symmetry and of great speed. The Saluki's endurance is coupled with strength. Tall, slender, and elegant, yet very powerful. The Scottish Deerhound is polite with strangers and absolutely not a guard dog. 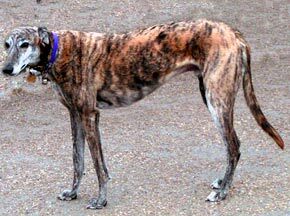 Whippets are bright, playful, exuberant, noble, graceful, loyal, affectionate, independent, and they enjoy playing practical jokes.